Greenville, OH. - The Greenville Business & Professional Women’s (BPW) Club is planning their annual Breakfast with Santa. The Club would like to invite the public to join them for this special event to be held on December 1, 2018 at 9:00 AM at the Greenville VFW Hall, 219 N. Ohio St. The menu, consisting of scrambled eggs, sausage, donut holes and a beverage and will be cooked and served with the assistance of Dara Buchy and Greenville High School Supply Chain Management students. 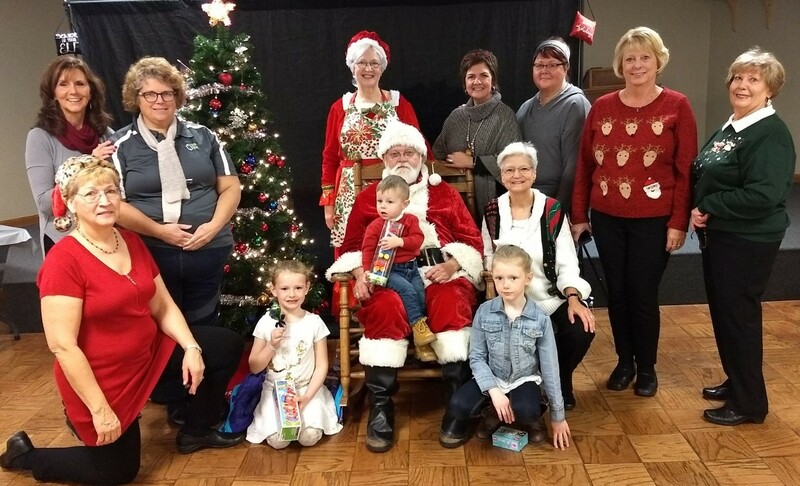 Santa will be there and Mrs. Claus will also join him again this year. The club would like to invite the public to help them collect new or “gently used” stuffed toys as well as donations of any of the following items or cash for the Darke County Shelter from Violence: paper products, shampoo and conditioner, tide laundry soap, kitchen trash can and bags, diapers, children or family oriented videos or DVD’s or cash donations are items needed. Items will be collected at the breakfast. The Greenville BPW Club will continue the collection at their December meeting. There will be limited reservations, taken on a first come, first served basis. Reservations must be made by November 26th. Children must be accompanied by an adult. The cost for this event will be $5 for each person attending. Please include a contact phone number or e-mail address in case there are questions. Reservations, along with payment, should be sent to Greenville BPW, c/o Susan Fowble, 5965 Willis Rd., Greenville, OH 45331. RESERVATIONS MUST INCLUDE a list of the first and last name, age, and indicate whether a boy or girl of each child who will be attending, along with the first and last name of any others attending with them. If you have questions concerning this event, phone 937/548-1414. Please plan to join us for this fun morning. There will be presents for each child and lots of fun. All proceeds from this event will go to the BPW Scholarship Fund, which provides scholarships to the young women of Darke County.